If you are currently involved in a personal injury matter, you will likely find this list of legal FAQs (frequently asked questions) very helpful. 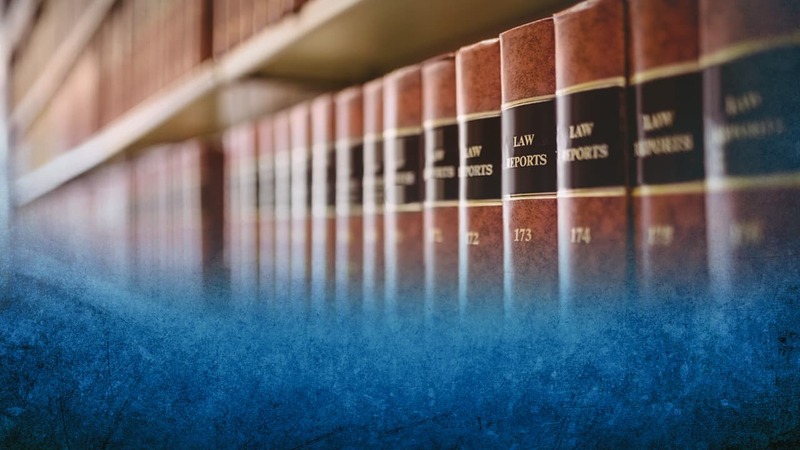 At FKC&S, we pride ourselves at making sure that our clients always stay highly informed regarding the details of their case and we are committed to being there for them every step of the way. While these may be the most common questions that are asked, you may have additional questions regarding your personal injury matter. If you would like to discuss the particulars of your situation, you may contact us to schedule a complimentary consultation. Consultations are free and always with an attorney. The mere fact that someone is hurt because they were in a car accident or they slipped and fell on someone’s property doesn’t mean that they are entitled to receive damages for pain and suffering. In most cases, you must prove that another party was negligent. Negligence simply means carelessness. Negligence is a lack of ordinary care. It is a failure to use that degree of care that a reasonably prudent person would have used under the same circumstances. Negligence may arise from doing something that a reasonably prudent person would not have done or, on the other hand, from failing to do an act that a reasonably prudent person would have done under the same circumstances. The law places on every person a responsibility to operate his or her vehicle with care. This law applies to the operation of any type of motor vehicle. A person’s failure to operate a vehicle with reasonable care is called “negligence.” Negligence while operating a motor vehicle can mean breaking the law, such as speeding, or it can mean failing to take proper precautions, such as not seeing a road sign or failing to yield when required. If the negligent motor vehicle operation causes an injury to another person, the owner and operator of that vehicle can be liable for any damages caused by that negligence. Such damages include: medical expenses, pain, suffering, lost wages, loss of income, and other damages arising from the accident. Is it beneficial to investigate a motor vehicle accident shortly after it occurs? Yes. In our experience we have found that the facts of an auto accident case can be quickly secured by an experienced attorney and a prompt investigation. Many times crucial evidence can be lost within days of an accident, by rain, snow, traffic flow or changes made by a landowner. This can be an important step toward achieving a quick and positive resolution to your case. Every personal injury case is different. Only an experienced attorney can assess your circumstances and advise you of the best course of action. Generally, the quicker you seek counsel, the more favorable the outcome. If you would be interested in a free evaluation of your case, you can either tell us briefly of your situation via e-mail, or call us directly and ask for a free consultation. There is no fee charged for you or your family to consult with us. What kinds of Motor Vehicle Insurance are there in New York State? “No-Fault” insurance, or “Personal Injury Protection” (PIP) protects the insured even if the injuries are the fault of the insured and even if no one else is involved in the accident. No fault insurance provides benefits to victims of motor vehicle accidents to reimburse them for “basic economic loss.” Briefly summarized, basic economic loss means all necessary doctor and hospital bills, 80% of lost earnings up to a maximum of $2,000 per month for up to three years following the accident, up to $25 per day for a period of one year following the accident for reasonable and necessary expenses the injured person may have incurred because of an injury sustained in the car accident (such as the cost of hiring a housekeeper or necessary transportation expenses to and from doctors), and a $2,000 death benefit, payable to the estate of a deceased person killed in an accident (this will be received in addition to other death benefits as described in the particular insurance policy). Does my motor vehicle liability insurance protect me if I am in an accident? No, it protects the other vehicle involved in the accident. If you are at fault and cause injury to another person, your liability insurance will pay for the damages caused to another person. New York State law requires that you have motor vehicle liability insurance in a minimum amount of $25,000. If I’ve been injured in an auto accident, whose “no-fault” insurance pays for my medical bills and lost wages? Under New York State law, your lost wages and medical expenses will be paid by the insurance company of the automobile that you’re in at the time of the accident. This is regardless of whose fault the accident is. What if I was a pedestrian? If an automobile strikes you, the insurance company insuring the automobile will pay your medical bills and lost wages, and may be liable for your pain and suffering. What if I was driving or riding on a motorcycle? No-fault automobile insurance does not cover a motorcycle. Therefore, the insurance company does not pay your medical bills and lost wages. However, you may be compensated for any injury, regardless of its degree. A contingency fee means that your attorney receives a legal fee only if a financial award is obtained (by settlement or verdict) for you. At Feldman, Kleidman, Coffey & Sappe LLP, our fee is based on a percentage of what we are able to obtain for you. In short, we don’t get paid a legal fee unless we win your case. If I get an attorney but do not want to go to trial, can I settle? In the course of preparing a case for trial, your attorney will work with the defense attorneys and insurance companies in an effort to secure a fair settlement for you. Although the final decision to accept an offer of settlement or to go to trial is yours alone to make, we will of course counsel you as to the various options, the likelihood of success and the risks and benefits of each option. We can help. An attorney from our firm will review your personal injury case, at no charge, and assess whether you may have the right to obtain compensation through the New York State Courts.